Then: Kate Bush is considered one of the most influential and self-expressive artists of the past century. Her contributions are so great, that it is simply too hard to imagine where artists like Florence and the Machine, Tori Amos,and even Bjork would be, if she hadn’t first paved the road for them. At the age of only 16, Kate Bush was discovered by Pink Floyd‘s David Gilmour who helped her get signed to EMI. It would take another 2 years, however, before her debut album, The Kick Inside would be released because her management felt that she was too young to deal with the emotional rejection if the album was a critical and financial failure. To tie her over, her record label gave her an advance, which she used to finish school and take dance lessions that would shape later songs and videos. The Kick Inside was finally released in 1978 and would be a huge success, selling Platinum in the UK, and its lead single, Wuthering Heights, which she wrote when she was 13, would be a top UK single, and she would become the first woman to reach number one in the UK charts with a self-penned song. Wuthering Heights would stay at the top of the charts for 4 weeks, be certified gold, and become her best selling single. Second album, Lionheart soon followed and Bush was publically displeased that it had been rushed. Third album, Never for Ever would enter the charts at number 1 and would be the first album by a British female solo artist to top the UK album chart. Kate would reach her creative and commercial peak with the release of 1985’s Hounds Of Love. Lead single, Running Up That Hill, saw a return to the top 3 in native England and would be her only top 40 US hit. Her followup album, The Sensual World, began to divide fans, as some felt that it was “too commercial”, but in our humble opinion has aged the best. It would also be her best selling US album, and was certified gold. The Red Shoes would her be her last album before taking a 12 year hiatus. It is often considered the least favorite album from fans. Now: In 2005, Kate returned with Aerial, her first album in 12 years. King of the Mountain would be the only single lifted from this album. Earlier this year, Bush released Director’s Cut, which were reinterpretations of songs taken from The Sensual World and The Red Shoes. She is also set to release a new ablum, 50 Words For Snow, which is set for a November 2011 release. The first single, Wild Man, has leaked and sees a return to her original sound. This entry was posted on Tuesday, October 11th, 2011 at 11:09 am and is filed under Where Are They Now. You can follow any responses to this entry through the RSS 2.0 feed. You can leave a response, or trackback from your own site. This rules. 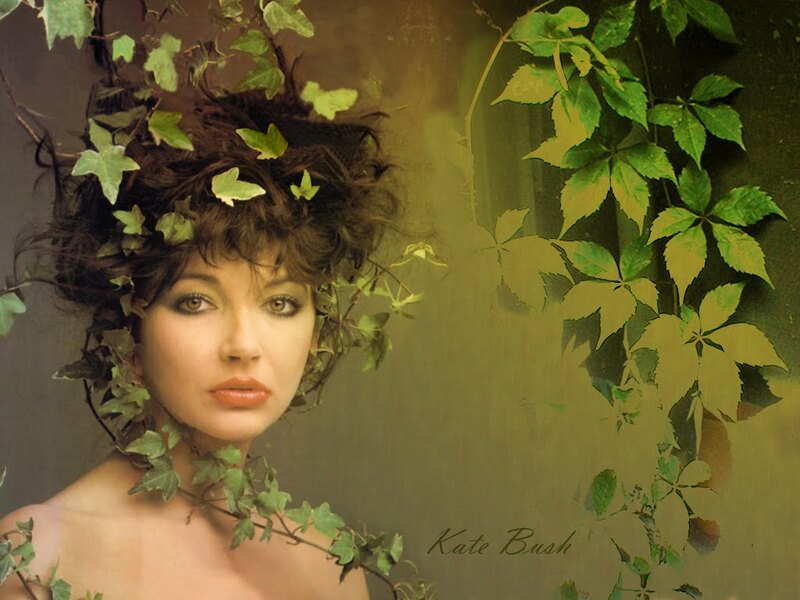 Love me some Kate Bush.